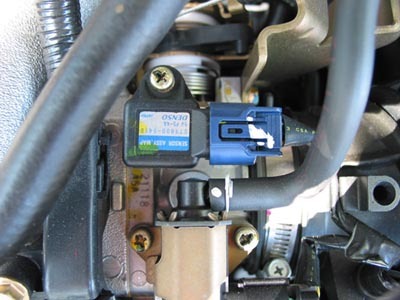 You will need to remove the screw that holds the MAP sensor to the throttle body. 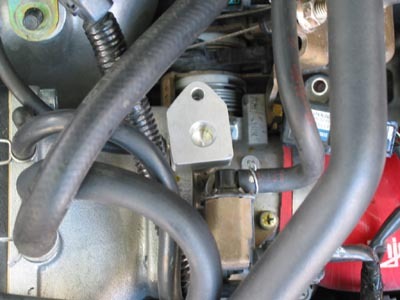 Then place the MAP relocator in place over the hole in the throttle body making sure that the O-ring is properly seated. 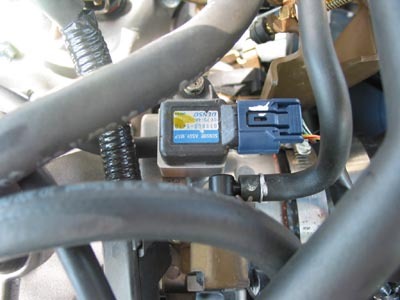 Now replace the MAP sensor on top of the relocator and fasten it to the throttle body with the supplied bolt. You will then need to connect the vacuum line from the MAP relocator to where the Jackson Racing TFI vacuum line was attached on the manifold. 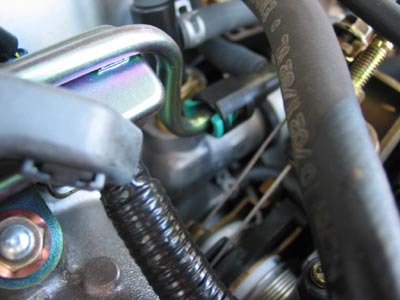 Disconnect the fuel line from the fuel rail. 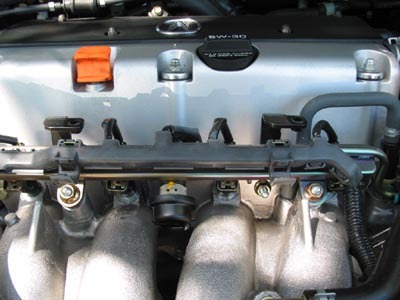 Then remove the 2 nuts holding the fuel rail to the intake manifold. 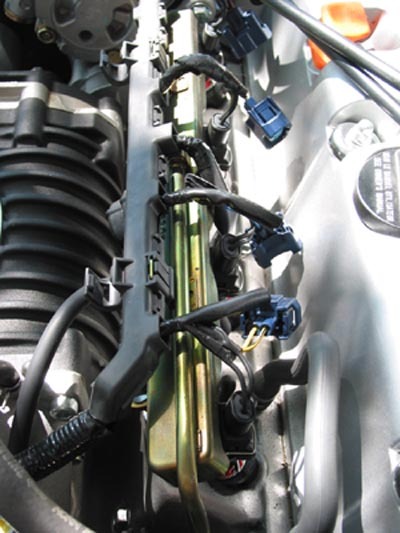 Disconnect the clips from the injectors and lift the fuel rail off of the manifold. 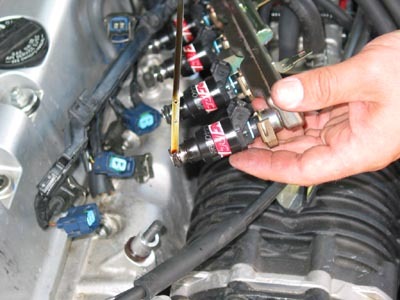 Remove the injectors. Put a little oil or silicone spray on the O-rings of the injectors so they fit into the fuel rail and manifold better. Next you will need to either splice in the new injector clips keeping the stock clips in case you ever need to swap back to the stock injectors. Alternatively you can just snip off the old clips and replace them with the new ones (polarity does not matter). 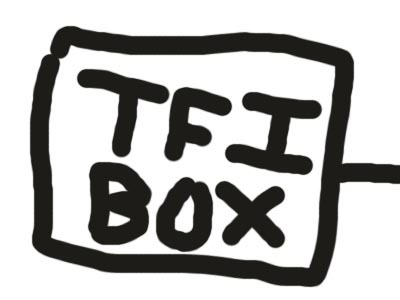 Remove the TFI box and send it along with your ECU, Key and Immobilizer to Hondata. Products not legal for sale or use in California on any pollution controlled motor vehicles.